As extinction rates climb, we have a responsibility—to our own species and to others—to work toward reversing the trend. Scientists have a social responsibility to present science and its role in society as accurately as possible. 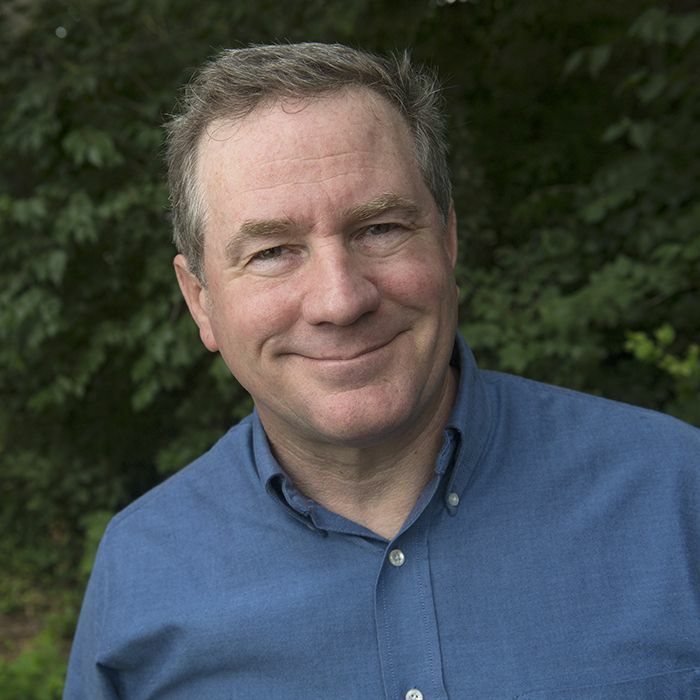 In his recent opinion piece for The Washington Post, Alexander Pyron, an associate professor of biology at The George Washington University, contends that many biologists fail this responsibility by communicating with “unthinking, unsupported, unnecessary urgency” about the need to conserve biodiversity. In making his arguments, however, Pyron falls well short of this standard in at least four of his claims: the inevitability of extinction, the nature of mass extinctions, the argument that extinction is the engine of evolution, and the idea that most extinctions are of little consequence for humans and the rest of the natural world. Furthermore, even if all of his arguments about evolution and extinction were accurate, his conclusion would still be morally and ethically wrong. Let’s begin with the oft-quoted cliché that “99.9 percent of all species that have ever lived… have already gone extinct.” This statistic from the fossil record seems to support the idea that extinction is the fate of all species, but a frequent outcome should not be confused with pre-determination. Species do not become extinct because it is inevitable, but instead because every day, individual organisms are engaged in a struggle for survival. When a species first evolves, it is well adapted to its environment, but as the surrounding physical and biological environments change, the odds of survival change as well, and often for the worse. Think of species as gamblers visiting a casino. The odds are always stacked in favor of the house, but those are the long-run odds, and Nature’s casino is constantly changing the rules. The risk of “gambler’s ruin” is indeed a fact of each species’ existence, but it is not a pre-determined fate. This game against the odds is the reason that most of the species that have ever existed are now extinct. The fossil record of organisms with bodies large and robust enough to be preserved is about 600 million years old. Extinction has been a continual occurrence during that entire time, with several notable spikes. Scientists have identified five events—the “Big Five”—in which the rate of global extinction rose well above the norm. An important fact of mass extinctions is that each one has its own unique set of characteristics, or “signature,” defined by what caused it, how quickly it happened, and why certain species became extinct. For example, the most severe of these events occurred 251 million years ago, most likely as a result of extreme volcanic activity. When it was over, an estimated 80 to 90 percent of marine animals and 70 percent of terrestrial creatures had died out. Those extinctions happened over several thousand to tens of thousands of years as the volcanism slowly caused Earth’s climate and chemical environment to deteriorate. The most famous of the Big Five, albeit not the most devastating, is the event that occurred 66 million years ago, when an asteroid the size of 200 football fields collided with the planet. Almost overnight, debris from the impact blotted out the sun and global temperatures plummeted. In just a few decades, some 70 percent of marine species had ceased to exist. Today, with the accelerating number of species being driven to extinction by human activities, many scientists have begun talking about a sixth mass extinction. The loss of species over the past 150 years has been dramatic, to be sure. Fortunately, so far, the rate has not risen to the level of the Big Five. To convince yourself of this, picture your favorite bit of landscape, and then imagine half of the life you see suddenly blinking out. We’re not there yet. We do, however, run a high risk of getting there, given the increasing pressures of human population growth, habitat destruction, pollution, damaging invasive species, and climate change. Should we be worried? Yes, we should. piece, Pyron seizes upon dramatized expressions of concern regarding the morality of human-caused extinctions and dismisses them with a false argument: the claim that extinction is essential for evolution (as well as the idea that evolution ultimately repairs the damage of extinction). His statement that “extinction is the engine of evolution” is particularly curious and decidedly wrong. Scientists think of evolution as a cycle with three main stages. First, there is the generation of variation through mutation, which occurs every time DNA is copied throughout the life span of cells and whole organisms, as well as through the recombination of genes when organisms reproduce sexually. Second, there is selection of that variation, whereby individuals that are better adapted to the environment have greater odds of surviving and reproducing offspring that carry their genes. Third, the products of this selection interact with their environment, thereby affecting the outcome of future selection events. Where is extinction in this cycle? Pyron seems to subscribe to the notion that extinction makes room for new species to succeed by wiping away the old, calling extinction “the mechanism by which natural selection prunes the poorly adapted and allows the hardiest to flourish.” He isn’t the first to espouse this erroneous view; it’s quite common for science communicators to frame the mass extinction of the dinosaurs 66 million years ago as an event that made room for the rise of mammals. Natural selection does indeed prune poorly adapted individuals, but that’s evolution driving extinction, not the other way around. New species evolved continuously in the past, whether or not the rate of extinction was high. In fact, there are times in the fossil record when the production of new species accelerated with no accompanying change in extinction. The coincidence between mass extinctions and the rise of new types of species has less to do with making room on the planet, and more to do with changing environments and ecologies. The dichotomy between “poorly adapted” and “hardiest” is also a misconception about evolution and a dangerous throwback to social Darwinism. A quote of uncertain origin that is often wrongly attributed to Charles Darwin puts it best: “It is not the strongest of the species that survives, but rather, that which is most adaptable to change.” There are no poorly adapted species today; nor are there hardiest or strongest ones. Every species alive today is very well adapted to its environment. We are causing that environment to change, and the species that can adapt to the changes will survive. If we can slow the rate of change, more species will survive—it’s that simple. On the subject of ecology, we come to the most dangerously misguided of Pyron’s arguments: that the extinction of a species hardly matters—to humans or to the rest of the natural world. Refuting this argument starts with a critical look at another cliché: the idea that all life is connected. While it’s true that all living organisms are ultimately connected, the importance of individual connections varies greatly, and many are probably not critical to a species’ survival. Nevertheless, there can be thousands of connections among organisms—tens of thousands in diverse communities such as coral reefs and rainforests. And because there’s still so much that we don’t know about most of these interactions, it’s irresponsible to make flippant conclusions about which connections or species are important to others and which are not. What we do know is that some species and connections are critical to the survival of other species and, perhaps more crucially, that changes to ecosystems tend to be highly nonlinear. What that means, essentially, is that dependencies in the web of life are unpredictable. The effects of changes to ecosystems do not add up in a neat and orderly fashion, precisely because some components are more important than others. There are tipping points in those systems, and we hardly know where most of them are. Much of the resilience of modern societies has been built upon reliable natural dependencies, such as a predictable climate, clean water, and clean air. Our planet produces those conditions not by magic, but by processes, and our increasing alteration of those processes threatens to erode the resilience of our own societies. Contrary to Pyron’s rash assessment, there are plenty of self-serving reasons for our species to care about preserving biodiversity as broadly as possible. But there are also other reasons to object to his suggestion that we needn’t bother protecting species that offer no direct benefit to humans. Pyron argues that the inevitability of death and extinction essentially excuses sitting idly by while countless species drop off the face of the Earth—many due to our own actions. It’s hard to see, though, how an argument like this holds up when viewed in the context of our own existence. Despite the fact that every one of us will eventually die, we still seek out and benefit from doctors, hospitals, and schools—not to mention art, music, and sports. Why bother? The answer, of course, has to do with the quality of the lives we lead while we’re here on this Earth. ), the loss of these endangered species would be akin to the destruction of precious works of art. We agree with Pyron that part of the solution must be moderation for the sake of sustainability. But science must provide honest and informed recommendations about what forms that moderation should take. And science must be the foundation of sustainable solutions that satisfy the diverse needs and interests of our global society—a society that cannot be removed from biodiversity. When it comes to extinction events, human civilization and its environmental impacts currently stand somewhere between a Siberian super volcano and a massive asteroid, neither of which left a pleasant planet in its aftermath. The difference between us and those natural events is that we are also gamblers in the casino. And we can still choose to walk away with our winnings. Peter Roopnarine is Curator of Geology at the California Academy of Sciences. His research explores the relationship between species richness, ecological diversity, and ecosystem resistance to extinction. Studying both marine and terrestrial ecosystems throughout Earth&apos;s vast history, Roopnarine’s collections-based research and expertise are aimed at better understanding Earth’s present in order to preserve its future. Roopnarine is Research and Adjunct Professor of Biology and Geosciences at San Francisco State University and a visiting professor at China Institute of Geosciences. 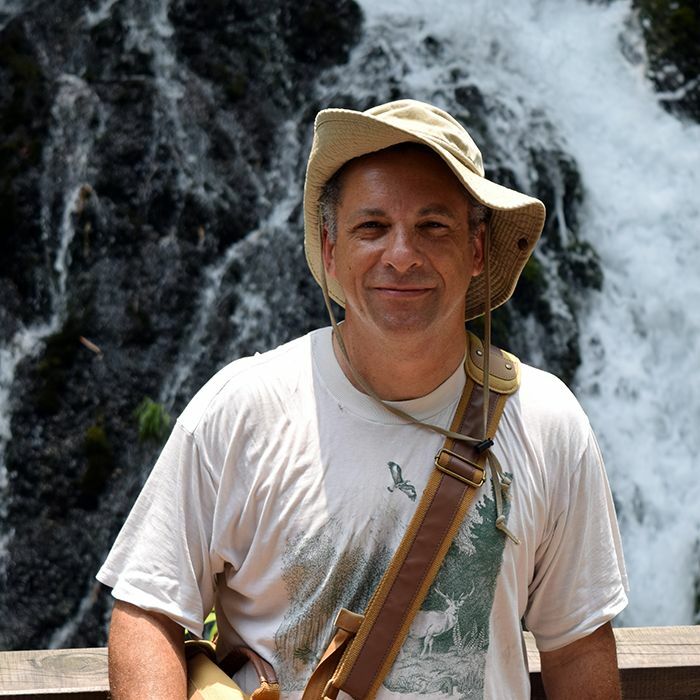 Luiz Rocha​ is Follett Chair and Curator of Ichthyology at the California Academy of Sciences. His research centers on the evolution, phylogeography, biogeography, systematic, and community and behavioral ecology of coral reef fishes. This interdisciplinary research tests existing hypotheses (and proposes new ones) about what generates and maintains the extremely high biodiversity in tropical coral reefs. 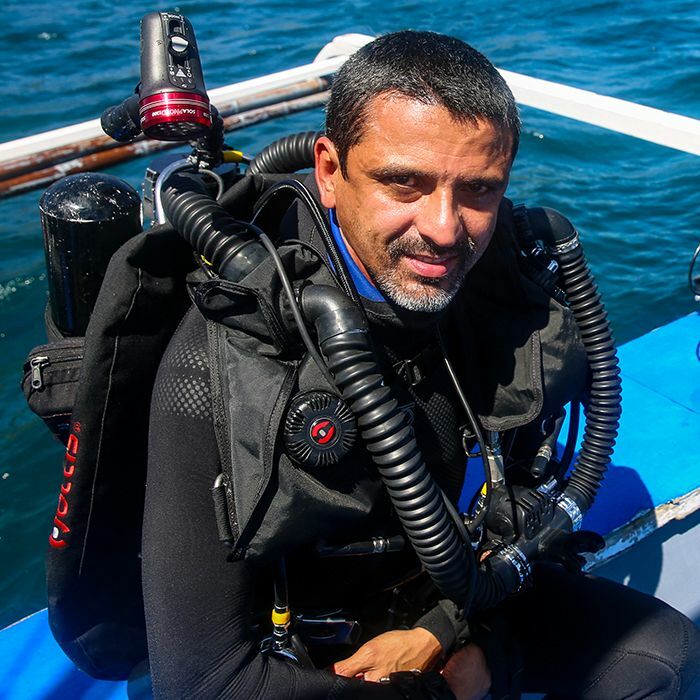 Rocha is a co-leader of the Academy’s Hope for Reefs initiative to explore, explain, and restore global coral reefs.